Picking out penny stocks that have huge potential is relatively easy to do. Now, like I said before most penny stocks are purely based on speculation. In other words; you should be on the lookout for volume and popularity. How would determine how popular a penny stock is? 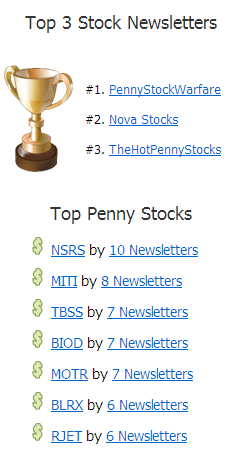 On the internet, where most penny stock traders seem to hang out, penny stocks are 'hyped up' through newsletters. Yes, believe it or not, newsletters. I don't know if I just broke a few rules here and there and revealed a secret that penny stock ebooks charge you money for, but it is as simple as... newsletters. Here's how it works in a general sense; A guy thinks or is a penny stock guru (although more guys think they really are) and they reveal their next penny stock pick(s) in a newsletter. The newsletter is free, nothing wrong with that and you do get indeed a penny stock recommendation, along with a description and the 'why you should trade this penny stock' insight. The reason that is free is because they are likely to promote their other products like ebooks etc through their mailing list. Another reason it is free is because the hype can create a 'self fulfilling prophecy' meaning if there is enough buzz around a certain penny stock regardless of whether or not that company is actually worth buying it, the more people will buy the stock thus the stock price will go up. You can assume that the issuer of the newsletter has some sort of stake in that stock. That doesn't mean we can't profit from the penny stocks that are recommended. If you are interested in trading penny stocks, it would be smart to do a few things before you actually start trading them. The way I did it myself was that I followed a few 'highly recommended' penny stocks myself for a few weeks. Some tanked, but I'd say about 80% were right on the money and the average gain was about 60%. How do you know which penny stock to buy? 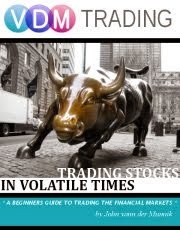 I found an excellent website about penny stock research called stockreads.com. Instead of signing up for all the individual newsletters and clutter your inbox with tons of mail everyday stockreads.com does the work for you and lists all the stocks including in how many newsletters they were recommended in. You're also able to click on the stock quote to get a detailed chart, or the newsletter itself to see what the newsletter contained regarding that particular stock quote. Brilliant! Based on this I get a pretty good idea which penny stocks are popular at this very moment. Check out each individual one that is recommended and see how much they cost to buy. Also you can do a little more research yourself by checking out the company that issues the stock. They more than likely have a website along with their plans for the future. If you are still hesitant to actually invest your real money in penny stocks, do a test run. Keep a record of the penny stocks you would have bought if you had the money invested in it and see where it goes. Of course, also with penny stocks, have a trading plan and set your price target (exit strategy). Another one of my favorite penny stock websites is called thehotpennystocks.com. Their site is more interactive and you can even chat with fellow penny stock traders. Last but not least, I always check how the overall microcap index is performing. This is done by looking at the micro index cap charts, like the one below. Overall, penny stocks are fun and exciting to own, but are extremely risky and volatile. Only trade with money you can afford to lose when investing in a penny stock. Before to read this article i don't know that how can we pick it....But after to read this i got some special tips to pick it..Thanks for this nice tips..